There's no such thing as a free puppy. Or kitten. Or hamster, lizard, fish or rabbit. Even if someone hands you a critter outright, you can expect to spend between $580 to $875 a year for basic expenses, according to the American Society for the Prevention of Cruelty to Animals. Oh, and that doesn't count things like purchase price/adoption fees, collar, leash, crate, spaying/neutering and other “capital costs.” Or for any of the myriad (and sometimes silly) ways we profess love for our animals. The American Pet Products Association says that U.S. pet owners spent a little over $58 billion last year on our critters; this year the estimate is $60.59 billion. Not everything has to be new. You may already have some of this stuff, or know someone who does. You don't need nearly as much as pet retailers would have you believe. 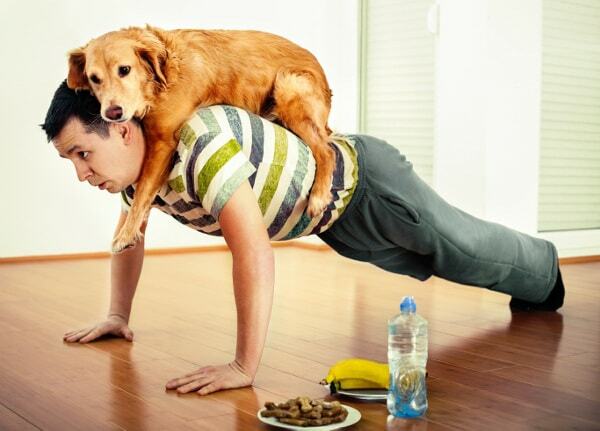 You should never compromise your pet's health or safety just to save a few pennies. But you can use some (or all) of these tips to save money without cheaping out. 1. Annual vet visit. Yes, even if your animal companion seems to be doing just fine. Catching a problem early means less pain to your pet and your wallet. 2. Vaccinate intentionally. Some shots are required by law, but not all pets need all available vaccines. The ASPCA website notes that veterinarians are now told to assess a pet's true risk of exposure vs. giving shots willy-nilly. Talk to your vet about this. 3. Buy good food. Talk to the vet about which brands are right for your pet. Some owners make all their own chow, but that's asking a lot of a busy person. A better-quality food may cost a little more than you would think — but maybe not much more — and it will keep your pet healthier overall (which means fewer expensive-to-fix health issues). 4. Don't overfeed. Some people ban pets from the dining room because of the soulful-eyed “but I'm so hungry!” looks they give. Don't feed them from the table and ask your vet about the right amounts of food (some large breeds need surprisingly little). This tip saves you twice: in the buying and by forestalling problems that arise from pet obesity. 5. Exercise! Your dog needs it and you do, too. Once again, talk to the vet about how much is too much (especially if Bowser is limping after a long run). If you're a cat owner, provide something like a ball or one of those feathers-on-a-wand toys to encourage friskiness. A cat that has something to do and gets regular attention might be less inclined to shred, urinate on or otherwise damage your household. 7. Buy a lot. Get the biggest size of food or litter if it's noticeably cheaper per pound (especially if someone is delivering it). Maybe Costco or Sam's carries your pet's favorite tartar-banishing chews. 8. Get the best deals. You don't have to do the legwork thanks to sites like PriceGrabber and NexTag. Type in the name of the cat food or heartworm medicine you need, and the site will tell you the lowest price. 9. Go through cash-back sites. Don't just head straight to PETCO or Wag.com, though. Start at a site like Ebates, FatWallet, Extrabux or Mr. Rebates and get a rebate every time you order; cash-back sites offer coupons and specials too. 10. Avoid impulse purchases. Train yourself to resist the squeaking plush hot dog or the catnip mouse every time you're in the store. It's no accident that such items are displayed in the checkout line. 12. Start a pet emergency fund. Sooner or later your pet will likely need extra care, especially as it ages. Not everyone is eligible for one of those low- to zero-percent financing deals, so set aside a certain amount each month right from the start in an online savings account. This could save you money in two ways: You'll have to put less (or maybe none) of the cost of care on a credit card that you might not be able to pay off right away, and you might be able to negotiate a discount for cash. 13. Improvise! Your preschooler has outgrown the need for the baby gate, but it would be great for keeping your not-quite-housetrained pup out of the carpeted areas. No need for a dish that says “food my cat won't eat” when a small soup bowl from your cupboard will hold that can of guts ‘n' gravy just fine. 15. Ask and ye may receive. Put it out on social media that you're adopting a pet and would appreciate advice and/or unused items. Perhaps you'll luck out. 16. Hit the secondary market. Yard sales and thrift stores could yield very affordable finds. A veterinarian told me that a good wash and a spray of Lysol will do away with any lingering cooties. 18. Check the Freecycle Network. It's the luck of the draw, obviously. Yet I've seen everything from food to crates being given away absolutely free. After a relative's cat died, the Freecycle notice for “free food and litter” lit up her inbox. 19. Check Craigslist, too. There's a “free” section there (again, your mileage may vary) and also a “wanted” section. Maybe the day you post “Wanted: Cat carrier and other feline-related items” will be the day someone finally decides to de-clutter the garage. 20. Seek samples. Google the phrase “free pet food samples” and you'll get hits on free pet food, chews and other items, and probably coupons as well. Kiplinger's Personal Finance suggests asking your vet for pet-med samples; the vet may also have coupons or manufacturer rebates for certain prescriptions. 21. 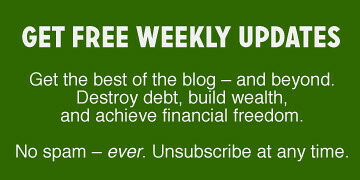 Follow a freebie blogger. Yes, that's a thing. Reputable sites like Bargain Babe and The Freebie Blogger send daily e-mails with all the stuff you can get for free, including pet products. 22. Help when you're down. Suppose your household experiences illness, layoff or some other issue. The PETCO chain maintains a state-by-state database of pet-food banks that might be able to assist you. Look online for vaccination clinics in your area, too. When times are better, you can make a donation. 23. Groom at home. Some breeds need very specialized bathing and clipping, but many owners can handle a dunk in the tub and a good brushing. My sister bought nail clippers that paid for themselves the second time she didn't have to pay the vet to trim her golden retriever's toes. 24. DIY exams. The ASPCA recommends a weekly home check-up to look for developing issues. Check under the animal's fur for scabs, lumps, bumps or skin flakes. 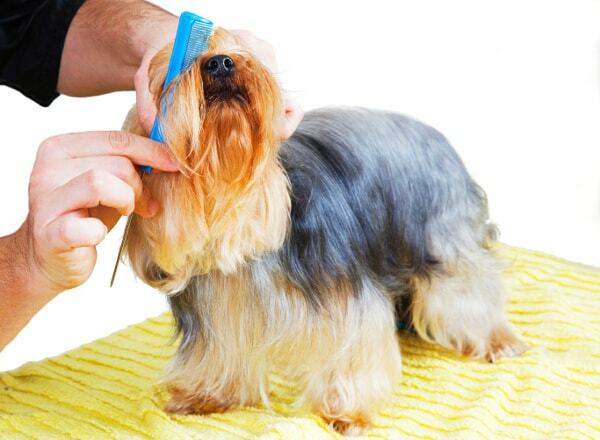 Look in eyes and ears for redness or discharge; you should also learn to clean the animal's ears. Should the pet's breath smell particularly bad, this could mean a digestive problem is developing — and if the animal's eating/drinking habits change, you need to call the vet. 25. Make pet toys. Some dogs are never happier than when they're chasing a stick or Frisbee. We once had a cat that loved to chase a piece of crumpled-up foil down the stairs; she'd bring it back up for us to throw again and again and again. Look online for pet-toy suggestions, paying particular attention to those that come from veterinarians, licensed breeders and professional animal trainers. 26. Make cat litter. Not something everyone wants to do, but it is an option. Look for recipes online. Generally, they use ingredients like shredded newspaper and baking soda. 27. Make pet snacks. Do an online search for “homemade pet treats” and you'll get an eyeful. It's also possible to convince dogs that raw carrots are delicious, and treats don't get much easier than that. 28. Brush your pet's teeth. Easier said than done when it's a cat, I know. Puppies are more malleable. According to the ASPCA, regular brushing may eliminate the need for a professional cleaning — and that can save you up to $200 per year. Start when the pet is young and hope for the best. A trip to Biscuit Land afterwards might improve the experience. 29. Be loyal. Pet-supply stores have rewards programs just like supermarkets do. You'll probably get a coupon just for signing up and then accrue points every time you buy. Members may also get proprietary coupons now and then. 30. Sign up. Got a favorite brand or two? Sign up for the manufacturer's newsletters and you'll get coupons, special offers and advance sale notifications. 32. 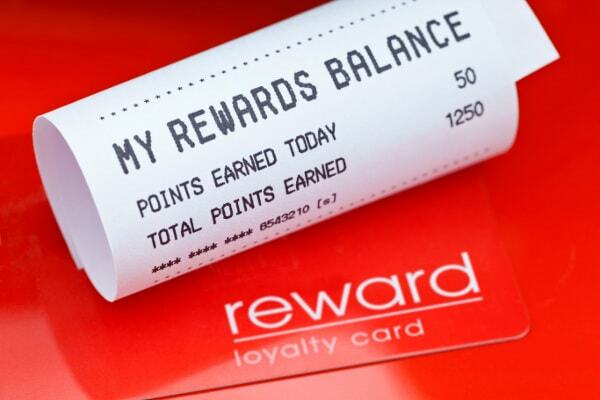 Cash in rewards points. If you have a rewards credit card or belong to sites like My Coke Rewards, Swagbucks and MyPoints, trade your points for gift cards to places like PayPal, Amazon, Home Depot or Target. 34. Reproductive capability. Unless you're a licensed breeder or have a specific plan to breed your pet and deal with all the offspring fairly, spay or neuter your new pet. The ASPCA has a database of low-cost sterilization programs in the United States and Canada. Hobbyist breeders need to remember that the results could be costly, e.g., a traumatic birth that requires expensive medical intervention. 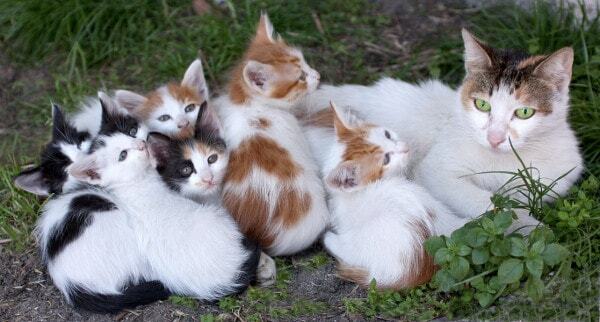 Or suppose your cat pops out seven or eight kittens instead of the expected three or four and you're not able to find homes for all of them? 35. A Halloween costume. Or reindeer antlers at Christmas. Or a sweater. Or a T-shirt. Don't throw your money away on silly stuff, or at least don't do it until you've got a nice cash cushion. 36. Multiple collars. It's for safety and identification. It's not a fashion statement. I once knew a woman who made pet collars out of colorful grosgrain ribbon. They flew off the shelves, because apparently single-hued neoprene and nylon isn't interesting enough. 37. Pet insurance. Yes, it works out in some cases. However, Consumer Reports says it's “rarely worth the price.” Go ahead and get a quote, then bank the monthly premium amount in that emergency fund. Readers: What are some of the ways you save money on pet supplies without negatively affecting your pet's quality of life? There are 25 reader responses to "Keeping a Pet Healthy on a Budget". One tip I didn’t see here was to keep your cats as indoor cats. (We live in suburbia and there are cars ALL over.) 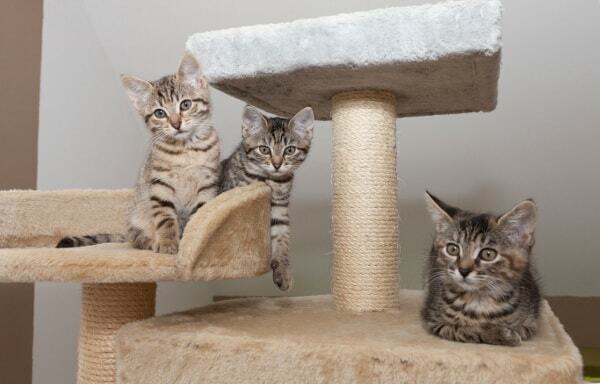 An indoor cat can easily live 10 years or more longer than an outdoor cat, at least in this environment. Out in farm country, not so much. BTW, great way to get kitty pix back on the site. Yes! Someone I know almost lost the family cat to a raccoon attack. The poor animal needed gut surgery and dozens of stitches. And when he healed up? They started letting him back out again. Sigh. This is why I have parrots. They eat what I eat, supplemented by a complete diet dry food (only a few pieces each per day. I still have the bag I bought in Jan). But they eat everything: rice, corn, beans, cheese, egg, cooked chicken, nuts, endless amounts of fruit and veggies. When I cook I don’t add any salt until I serve myself, that way I can section off some for the birds. Last week they had rice and peanut butter stew for dinner. Sometimes lasagna. During the day and for breakfast they’ll eat fruits and veggies. I do need to start trimming their beaks and nails myself. I’d need to buy a dremmel though and have an extra set of helping hands. I’m just nervous that they’ll hate me and not trust me anymore (big beaks, no trust = pain). My most expensive pet to date has been the smallest, my 13 year old leopard gecko. Almost $1k in vet bills between last year and this year. And he needs a live food diet which is a bit costly, as well as a supplemental liquid diet and vitamins. I’ll probably never get another reptile (as much as I love the Snoops). They are costly little buggers, and really require alot more work and attention than a lot of people unfortunately realize until after they’ve gotten them. Every time I get the hankering for a pet (my first in my life), articles like this put me back in my place quickly. Its a good reminder for me how expensive pet ownership can be. I can attest to the benefit of using Amazon for dog food purchases. I pay the same price as the local stores and it is delivered in 2 days to my home. AND I’m not toting heavy bags of food around. I generally like to buy locally, but with my schedule and the food needing to be bought at a pet store, not a supermarket, this has worked out very well for me. I wish I could trim my dogs’ nails myself, but it is absolutely impossible–even with 2 people. The vet doesn’t charge much and I don’t have to go often, but it is an expense. Yes, pets are an expense and that needs to be factored into the whole idea of getting one. The things you learn on GRS! One of the birds loves (I mean leeerrves gumbo). When I heat up leftover gumbo in the microwave, he’s crawled down his cage, waddled accross the dining room and kitchen floor, and is waiting at my feet before I even get it out of the microwave, looking up at me like ‘you gonna share?’. Let friends know that you are happy to take the unwanted bag of giblets in the Thanksgiving turkey….toss in the freezer for later nutritional meals for dog or cat. Happy to have that big ham bone too thank you. Very smart! Unless they use it in gravy/stuffing, I bet lots of people would be happy to hand it over. I’m just wondering what is your source for the ASPCA saying that regularly brushing teeth may eliminate the need for annual professional dental cleaning? Perhaps you can eliminate the need for more serious procedures and extractions, but eliminate cleanings altogether? There tends to be a huge misconception out there regarding dogs and dental cleanings – folks proudly insisting that their dog doesn’t need them!…wrong!! Why are pets any different than humans in this regard? Would you tell your child that they didn’t need to get their teeth cleaned as long as they brushed every day? Note that it does say “in some cases,” rather than all, which is why I said it MAY eliminate the need for a professional cleaning. Dogs are different from humans in many regards, as they are are from a different genus. They have different oral bacteria which is more geared towards preventing cavities and infection than ours, because they need those super bacs to combat the super bacs in the food that they eat. Which is kind of where the idea of a dog’s mouth being cleaner comes from; it has to be ‘cleaner’ because they tend to eat ‘dirtier’ things than we do, and they are evolved to deal with that. There are studies that indicate that wild dogs don’t get cavities because of their diet, and the fact that they don’t live as long as domestic dogs. So age and diet (especially man made, or high sugar) are a contributing factor to cavities in a domestic setting…not because of any biological similarities to humans. If they are kept to more of a natural diet (omni-carni diet), it’s very possible that regular professional cleanings are not needed. I have to disagree here. Bad teeth have much more to do with luck of the draw than diet. Some pets need less oral care than others, but all of them need it. I work in veterinary dentistry, and owners are often appalled when they see photos of their pets’ mouth. My own dog who has great genes in this regard had a root tooth abscess that I would have never known about without dental X-ray, and i brush my dogs teeth. 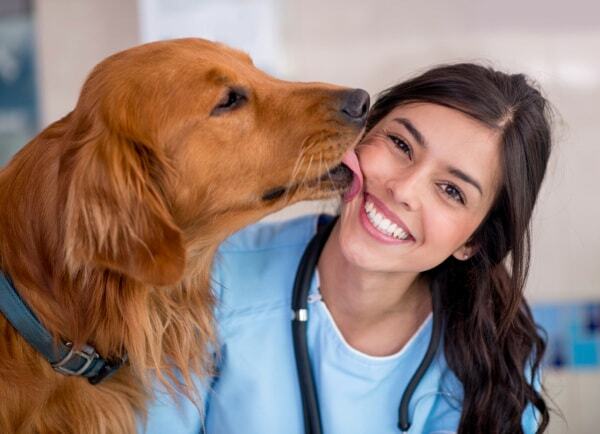 Oral care for both dogs and cats is one of the most neglected areas of veterinary medicine. Humans can’t even stand the pain of a small toothache…you cannot imagine what these pets often endure before they show any signs of pain. Awesome, a lot of great advice, more then I would have thought of! Back when Ebay allowed selling of FREE item coupons I was able to grab myself over 400.00 in fresh step cat litter coupons for $50.00. Sadly that train recently ended :-(. However you still can buy coupons from such auction sites that can save you money over time. My wife also recently started grooming our dog at home saved us $80-90 bucks so far. The first cut went well, the second one….umm well the first cut went well. My 5 year old Yorkie, bought as a puppy, had many health issues that in no way could I have predicted. Luckily I purchased health insurance when I first got him. Thousands have been spent on him, covered by insurance. THEN last year I obtained a rescue. Her 1st physical showed her to be health. Then 5 months later she suddenly had seizures. Turned out to be liver shunt, which required over $6000 in emergency rooms, special tests, and finally surgery which saved her life. If I had followed the advice above, my emergency fund would be depleted! Placing my premiums in a savings account would have never even touched the emergency room visit alone. Your story is an example of the “it works out in some cases” reference. But as Consumer Reports notes, it’s generally not worth the cost. 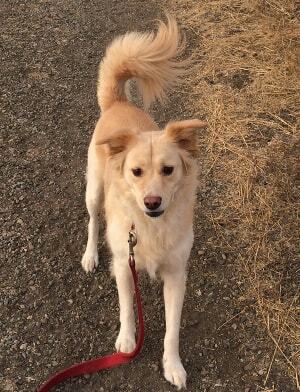 Very detailed account the ways to save money on owning pets. They can be summarized in 4 points: no need to have all new items; handed down from other pet owners; no need to have everything vet recommended; and try do them with DIY. Glad that you also point out to start the emergency fund and don’t insurance. Thanks to point out so many useful tips. Great article, but I have to disagree on one point: every dog absolutely needs reindeer antlers at Christmas! I groom my spaniel myself…sometimes she looks good, other times she looks like a moth-eaten mop. Oh, well, she’s happy enough. I never ever give her table scraps, she is 11, and her teeth look great. Honestly, she really doesn’t cost that much. Her food is rather expensive, but her vet check ups and meds are easily handled. The greatest thing is the love and companionship we give each other which is priceless. This is exactly why i don’t have pets at the moment. I have enough debt as it is, and the faster I pay it off the better. spending 500-900 dollars a year on a pet just seems like a bit too much for me, I would much rather get one when I have the money to take care of it. Exactly my point! When you take in an animal you should be ready to provide the right kind of food, care and attention. Anyone who feels he can’t do that right now should follow your example: Wait until he’s ready. Our pets are extensions of our family and need all of the same care, love and protection along with nutritious food. Shop for them with the same care that you shop for yourself. Option 2) Shoot the dog. Sorry but one day, a pet dog (or any other pet animal) will be a luxury that the planet cannot afford. It’s us or them. The choice is yours. Gun to your head or the dog. And keep in mind that when pets get old they get expensive… Really expensive. So build that emergency fund now, people! -Extra cleaning supplies add up when you have a pet. -Dog walkers if you work all day. -Pet sitters when you go out of town. It’s all totally worth it!